As seen in the press release below - The Wind Waker HD has received a release date for the download version being September 20 with the packaged version launching October 4 in North America. 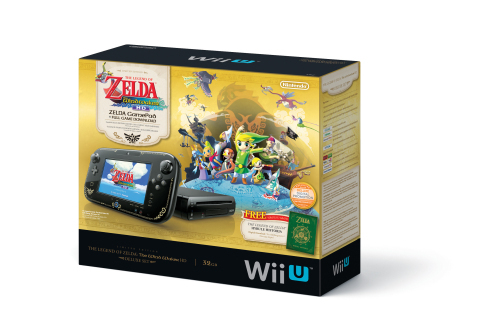 The Wind Waker HD Wii U Bundle was also announced and will launch alongside the Wind Waker HD downloadable version on September 20 for $299.99 and will include a download code for the game as well as a download code for the digital version of Hyrule Historia. Check out full details after the break. Nintendo 2DS plays the entire library of packaged and downloadable games for Nintendo 3DS only in 2D. The system features a distinctive fixed, slate-type form factor, and optional carrying cases will be available in Red or Blue at launch at a suggested retail price of $12.99. Nintendo 2DS maintains many of the same hardware features as Nintendo 3DS: dual screens, game-play controls and touch-screen features. The system also has backward compatibility with the existing library of more than 2,000 Nintendo DS games, as well as access to wireless connectivity features like multiplayer online game play, fun Nintendo Video content and great digitally delivered games in the Nintendo eShop. To view a video of Nintendo 2DS, visit //youtu.be/sAExBTWIp3M. People eager to test drive the new system will have the chance beginning in October, when Nintendo 2DS joins a sampling tour in conjunction with Simon Malls that visits several different markets before it wraps up on Nov. 3. For more information about the tour, visit //www.nintendo.com. Remember that Nintendo systems feature parental controls that let adults manage the content their children can access. For more information about this and other features, visit //www.nintendo.com/wiiu and //www.nintendo.com/3ds. About Nintendo: The worldwide pioneer in the creation of interactive entertainment, Nintendo Co., Ltd., of Kyoto, Japan, manufactures and markets hardware and software for its Wii U™ and Wii™ home consoles, and Nintendo 3DS™ and Nintendo DS™ families of portable systems. Since 1983, when it launched the Nintendo Entertainment System™, Nintendo has sold more than 4.1 billion video games and more than 655 million hardware units globally, including the current-generation Wii U, Nintendo 3DS and Nintendo 3DS XL, as well as the Game Boy™, Game Boy Advance, Nintendo DS, Nintendo DSi™ and Nintendo DSi XL™, Super NES™, Nintendo 64™, Nintendo GameCube™ and Wii systems. It has also created industry icons that have become well-known, household names such as Mario™, Donkey Kong™, Metroid™, Zelda™ and Pokémon™. A wholly owned subsidiary, Nintendo of America Inc., based in Redmond, Wash., serves as headquarters for Nintendo's operations in the Western Hemisphere. 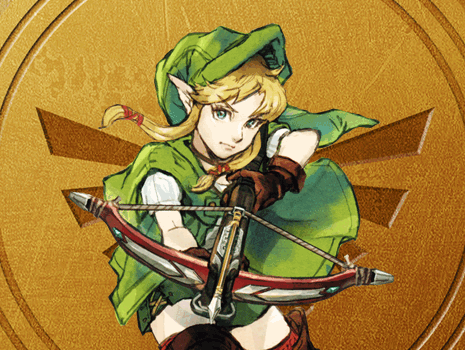 For more information about Nintendo, please visit the company's website at //www.nintendo.com.